If you’re looking to improve your automotive marketing in 2018, then you should know what the industry is doing. How are people purchasing vehicles? What role does digital play in this endeavour? 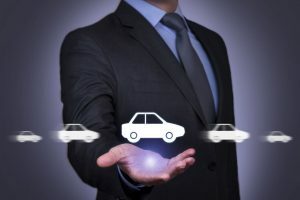 In general, the automotive industry will follow many of the same tips for digital marketing that the rest of the internet will, but in some cases, there are specific best practices to follow. Here are some automotive marketing tips for 2018. In the near future, mobile devices may be the only devices with which potential buyers will use to access the internet and conduct online website. This means your website should be mobile optimized, and beyond that, responsively designed. You should have an attractive and functional website that looks and acts great on all devices. People love video, yet it’s not a trend all dealerships have caught on to yet. If you want to jump ahead of your competition, consider learning how to make quality videos showcasing your vehicles. Video can influence purchasers’ vehicle buying decisions. They enable you to provide key information while simultaneously exposing buyers to the ins and outs of the vehicles. In 2018, you should leverage all stages of the buyer’s journey to ensure customers are considering your product at the right time. People may not book a test drive until they’re almost ready to buy, but they are conducting significant research before this stage. By offering valuable information at the top, middle, and bottom of the funnel, you can ensure you remain top of mind when it comes time to book that test drive. Get in early during the buyer’s journey, when a buyer is considering options, and you’re more likely to win the sale. When it comes to automotive marketing—local searches are key. People will do research all over the internet to decide what they want, but every potential customer knows that, eventually, he or she will want to walk in for a test drive. That means keeping at least one eye on local searches. Studies show 78 percent of local mobile searches result in an offline purchase. Making sure that your site is discoverable by the right audience can help you close more sales. Building effective social media campaigns as part of your automotive marketing efforts will help you gain attention from more potential buyers. Social media, especially Instagram for dealerships, is a way to develop relationships and position yourself as an expert in the industry. The year 2018 is shaping up to be an exciting one for automotive marketing. Consider and prepare for these trends and you’ll be well-positioned to have a truly successful year.